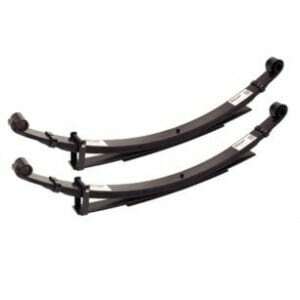 Toyota Rear Springs THX42E - this price is for a pair of heavy duty rear springs. EFS Springs are made from high quality spring steel and provides the driver a more comfortable ride on road, along with increased control and ground clearance off road. Includes 3 year/100,000km warranty. To check the super discounted online price and Australia wide delivery options, please call us during business hours on (02) 6024 1464 or email us here.